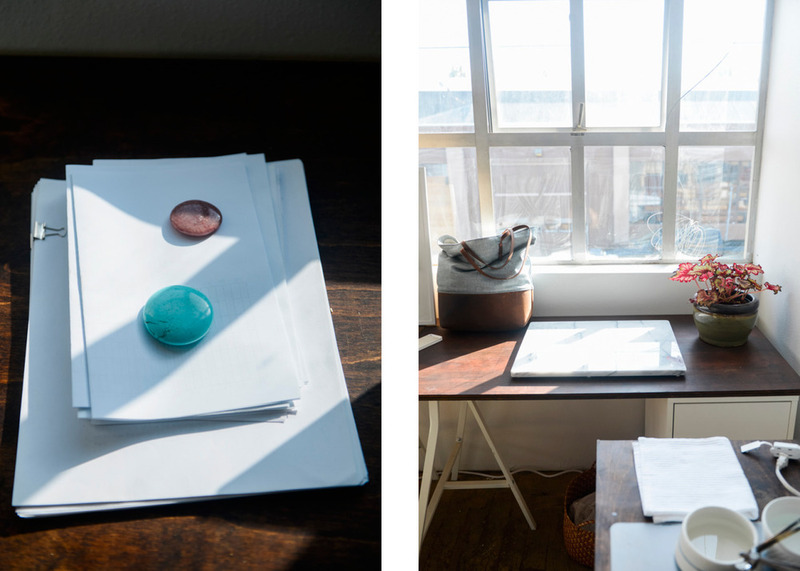 Studio Visit: Favor — Portland Supply Co.
Monika Reed had us over to her new studio that was historically brass fabrication building - an appropriate location for a jewelry maker! She showed us Favor's new fall collection and talked us through some of her processes. She recently relocated to her larger, more fitting studio, Monika has done a great job with the space, making a beautiful environment to create in for her and her employees. Favor is known for its simple and clean lines making the pieces easy to wear and elegant. We love the versatility of Favor. Reed’s line is full of staple accessories for anyones day to day. Enjoy our visit with Monika in her studio and make sure to check out her new fall collection on her site! I originally moved here six years ago to study Anthropology at Portland State. The forest, gorge and beautiful landscapes have kept me here. Portland is so pretty! I love how the creative community is so supported here. People genuinely care about supporting small businesses. As the city grows, we seem to be attracting even more like-minded people adding to the creative energy and making local business a priority. I moved to Portland a month into the recession and couldn't find work. I started Favor to help pay for college but I saw the potential pretty quickly. In early 2010 I left school and started working on Favor full time. I honestly thought I would be back in school within six months with my tail between my legs! I’m thankful every day that didn't happen. I didn't have any experience with business before I dove headfirst into running Favor. Figuring out how to do everything from contacting stores, to filing taxes, to creating product photography has been learned on the job. It has been overwhelming at times, but I love a challenge! 5. What or who inspires your design? I like simplicity and clean lines. When I need inspiration, I look at wall papers, mid-century furniture, and old artwork. I find the simplest shapes in them and that usually gets me going again. I love the landscape. The forest is where I am happiest and I spend a lot of time hiking and running on trails. Bonus points for the amount of creative energy here. It seems like everyone I know in Portland is creating something amazing. The coffee is pretty wonderful, too! 7. What is your favorite part of your studio? I love our giant workbench where my employees and I make all of the jewelry for Favor. It can be pretty magical when we all have our hammers going and we end the day with a big pile of jewelry. 8. Your favorite thing about your workspace? I can’t choose just one! I love the natural light, the plants, and the high ceilings. I just moved in two months ago and was so lucky to find this space. It’s my fourth studio in three years, so I’m ready to settle in. 9. Tell us two truths and a lie! I had a bulldog named Cantaloupe. I got married in a purple dress. I have hugged a yak. 10. 5 things you can’t live without. Afternoon iced coffee. Running shoes. Coconut lip balm. V5 pens. My passport.